Magic and Magick? What’s the difference? Congratulations on deciding to bring a magickal practice into your life! There are a lot of ways to approach magick. Maybe you’re interested in Wicca, or witchcraft (not the same things!) or you’re drawn to the occult, or you just want to cast some spells to bring something into your life. Whatever your reasons are for wanting to try magick, there is an overwhelming amount of information out there, and some pitfalls. This is not an exhaustive post, but a general overview to help you clarify what your goals are and decide the next step. 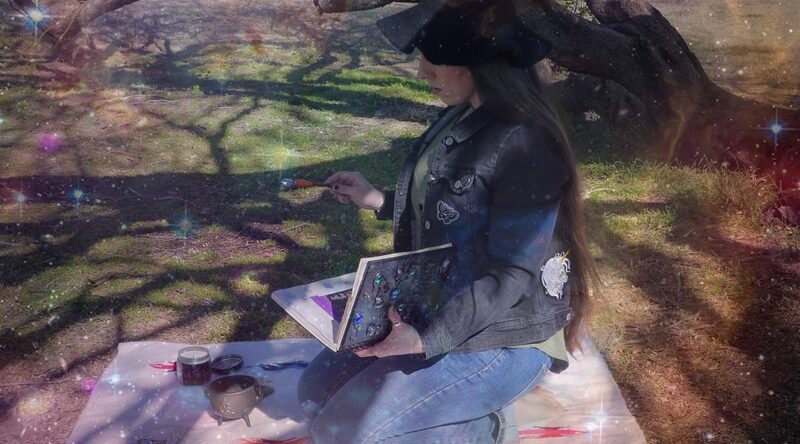 First, let’s talk about magic with a “c” vs. magick with a “k.” For the purposes of this blog, I will use the spelling “magick” to refer to the practice and application of manifesting change according to your will. It is the work that you do to create what you need. Magic with a “c” is a more common word that tends to reference fantasy magic, or an aesthetic that is “magical”— not the practice and results that come from actually working a spell or a ritual. Although there is nothing wrong with adding a bit of fantasy flair to your work, you should still know the difference. Like many people, I came to a serious magickal practice through Wicca. 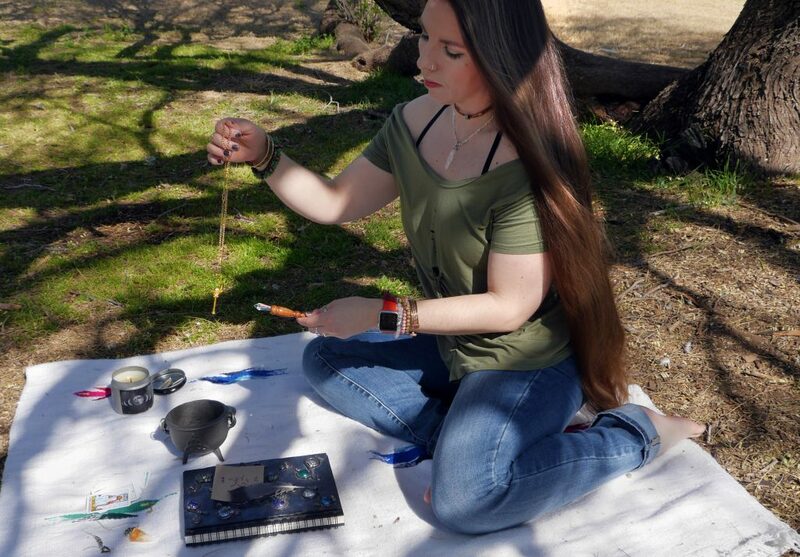 While I am not Wiccan, and never truly considered myself Wiccan at any point, it was my entry into the practice because it was the easiest way to find information. Wicca is a nature-based neo-pagan religion. There are plenty of Wiccan’s who don’t cast spells and only honor the Sabbats— or events that occur during the wheel of the year. Wiccan’s follow a Rede that informs their practice. They do not believe in causing harm to others and tend to be very peaceful. If this is what speaks to you, there is lots of information on the subject. In addition to Wicca, there are other Pagan traditions that may also use magick in their practices. These are also generally spiritual or religious paths. Some examples would be modern day Druids and Asatru (Norse paganism revival) and Hoodoo. There are more, of course. These paths are generally polytheistic, shamanistic, and stress connections to nature or ancestors. Each has their own moral guidelines as well. Witchcraft on its own is different. While plenty of Wiccans use witchcraft in their practice, not all of them do and definitely, not all witches are Wiccans. Witchcraft covers a very large area of practices, some religious and some not. You can be a witch and be of any religious background, or you can not be religious at all and still practice witchcraft. There are many different “kinds” of witches: white witches, black witches, green witches, sea witches, cyber witches, traditional witches, chaos witches (or magicians), kitchen witches, etc. Don’t let the labels freak you out. They are more fluid than you would think. Any single practitioner of magick who identifies as a witch could pick at least two or three of these labels and say it describes them. And don’t forget, witches are not just women. Men can be witches too. There are witches who are part of a formal group, or coven, who practice ritual together, and those who strike it out on their own called “solitary” witches. I have never been in a coven. 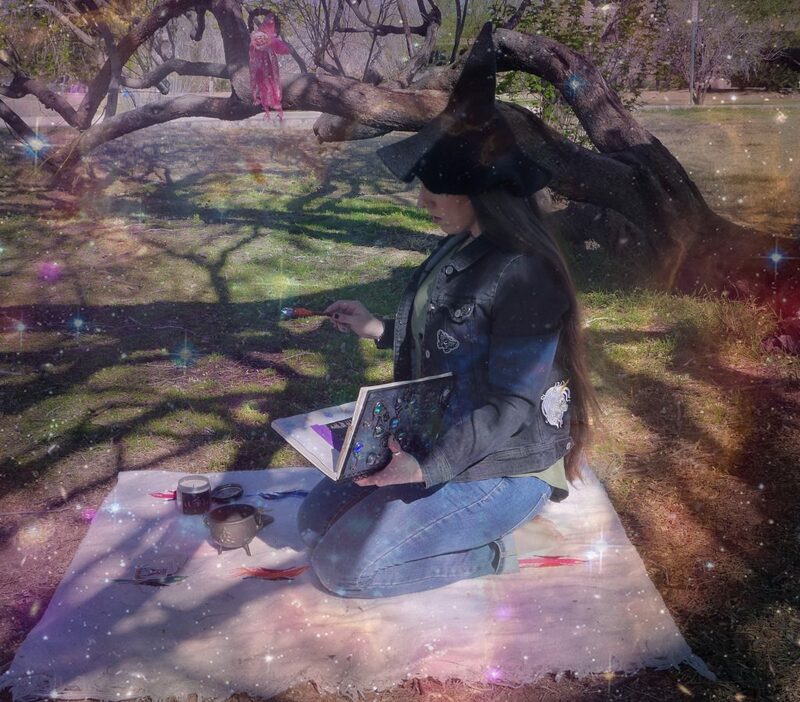 I have always been a solitary magickal practitioner, but that doesn’t mean I’ve always been alone. Solitaries can still come together to observe holidays or solstices, but they don’t share an agreed-upon method of how to perform magick. Don’t feel that you have to be part of a coven to be legitimate. You don’t. In fact, even if you do want to join a coven at some point, my advice is to start off solitary. Get to know who you are in your magick, develop your skills and good habits, and then you can look for a coven. There are plenty of resources to help you on your way. This way, you’ve taken responsibility for your own path, you know yourself better, and you will have much more to offer a group. You will also be able to choose a coven that is right for you. Otherwise, you could be vulnerable to falling into another person’s ego trap, which is dangerous. Don’t trust someone just because they say they have fancy degrees of initiations or they’re descendants of some archaic lineage. True magick is about being able to know and trust yourself because you have broken through your ego. I’m going to repeat that because it’s important: True magick is about being able to know and trust yourself because you have broken through your ego. It isn’t about fancy titles or impressing others with your powers. What If “Witch” Doesn’t Fit Me? Again, don’t get too caught up in labels. Maybe “Magician” is more your style. Generally, witches use various kinds of folk magick, and spells achieve a material result. Magicians usually practice more ceremonial magick designed to elevate you spiritually. Think, The Golden Dawn, or other Hermetic orders. Again, these are generalizations, and each person and tradition are different. Folk magick is every bit as spiritually elevating, and ceremonial magick is used to better your muggle life too, so, there’s that to consider. 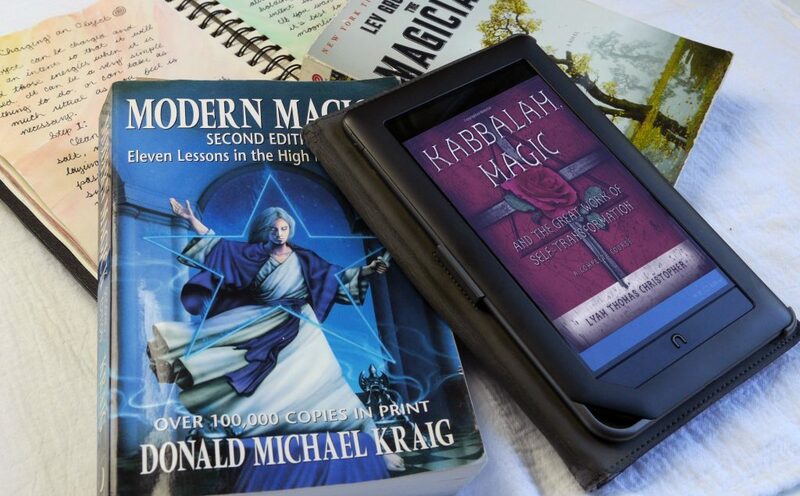 My beat-up copy of Modern Magick and my digital copy of Kaballah Magic and the Great Work of Self-Transformation. I have recently become interested in ceremonial magick, and the books that I am working from are Kabbalah, Magic & the Great Work of Self Transformation , and Modern Magick . Both are courses with required readings and exercises, and they are extensive. If you want to get in deep with ceremonial magick, this is where to start. I love physical copies of books because I can write in them and I have an obsession with page flags. But I also like to keep a library on me at all times, so digital books are great for that. I have both a Kindle and a Nook, because… reasons…. You can never have too many books in any form, OK?! Chaos Magicians are complicated to describe on purpose. Chaos magick is kind of the punk rock of magick. Chaos magicians (or witches) are less concerned with ritual, rules, and the “proper” way to do things. Because to them, the right way to perform magick is the way that works! Chaos magick practitioners use belief and will as their main tools. Contrary to what the name implies, chaotes are not scattered magicians. They are meticulous and record everything. They break the rules, but they understand the rules they are breaking and why. I can’t really describe Chaos magick any better than Phil Hine and Peter Carroll do. If this appeals to you, read their works— Condensed Chaos and Liber Null & Psychonaut . These are some general avenues of where practicing magick can lead. If one thing stands out to you more than another, explore that area. You don’t have to commit to one thing forever, but try not to just dabble a little in everything. You will only get shallow knowledge this way. It’s better to go into something that speaks to you as far as you can go until it no longer speaks to you. Then, decide to explore a different path. This will give you a solid foundation on which to build your practice. I Just Want To Do Spells! There are many ways to practice magick. Find the way that fits you best. Maybe you’re thinking, “This is all great, but I just want to cast some spells.” There’s nothing wrong with that. But you need to understand what your motivations and interests are. It will make it much easier to decide what kind of spell work you are going to connect with best. You want to cast a spell and you want it to be successful, right? That means you have some work to do on your part. Move on to Help! I’m New to Magick, Where Do I Begin? Part II.